Monica is Of Counsel at Alto Litigation. She represents clients in intellectual property and commercial litigation matters in federal and state court. 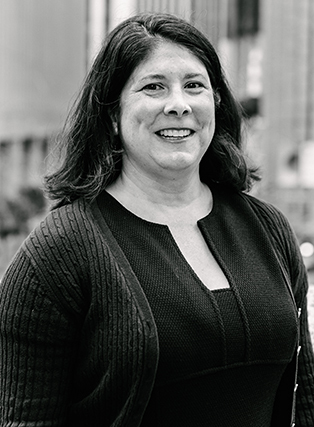 Monica has two decades of litigation experience during which time she has handled more than 30 intellectual property matters in district courts in at least ten states throughout the country as well as several ITC actions. Part of trial team that successfully obtained ITC exclusion order barring importation of competitor’s flash memory. Part of trial team that represented major aircraft parts manufacturer in trademark infringement action against manufacturer of knock-off parts that resulted in jury finding of infringement and award of all damages sought by client. Part of litigation team that successfully opposed motion for preliminary injunction brought by major manufacturer of switches used in storage area networks. After extensive briefing and a five-day evidentiary hearing, Court found switch manufacturer failed to demonstrate likelihood of success on client’s contract defense. Represented start-up in a trade secret misappropriation case involving operational amplifier technology. The court ruled in favor of client following a bench trial. Won summary judgment of non-infringement on behalf of manufacturer of integrated circuit test and burn-in sockets. Obtained dismissal of action filed by multi-billion dollar corporation in its home forum against privately-held silicon manufacturer for lack of personal jurisdiction.